Professor Greytak's research interests are in the area of experimental low temperature condensed matter physics, in particular superfluid systems. He has used Brillouin and Raman spectrocopy to study superfluid 4He and 3He-4He solutions. He currently collaborates with Prof. Daniel Kleppner on studies of ultra cold atomic hydrogen, including Bose-Einstein condensation in hydrogen. Professor Greytak received S.B. and M.S. degrees in Electrical Engineering (1963) and a Ph.D. in Physics (1967), all from MIT. He joined the physics faculty as an Assistant Professor in 1967, was promoted to Associate Professor in 1970 and to full Professor in 1977. He spent the 1972-73 academic year on leave at the University of California at San Diego with John Wheatley studying the newly discovered superfluid phases of 3He. Professor Greytak was the Division Head for Atomic, Condensed Matter and Plasma Physics from 1988 to 1997. From 1997 to June 2007, he served as Associate Department Head. 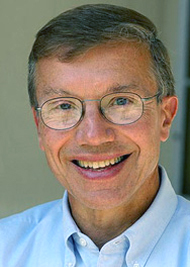 In July 2007, he was named the Lester Wolfe Professor of Physics, and appointed Interim Department Head, Physics, for the period July - December 2007 and also July - November 2013. His teaching interests include statistical physics, quantum mechanics and condensed matter physics. Professor Greytak is a Margaret MacVicar Faculty Fellow and a Fellow of the American Physical Society and the American Association for the Advancement of Science. T.J. Greytak, D. Kleppner, D.G. Fried, T.C. Killian, L. Willmann, D. Landhuis, S.C. Moss "Bose-Einstein Condensation in Atomic Hydrogen", (2000). D. G. Fried, T. C. Killian, L. Willmann, D. Landhuis, S. C. Moss, D. Kleppner, and T. J. Greytak, "Bose-Einstein Condensation of Atomic Hydrogen", Phys. Rev. Lett., 81, 3811, (1998). T. C. Killian, D. G. Fried, L. Willmann, D. Landhuis, S. C. Moss, T. J. Greytak, and D. Kleppner, "Cold Collision Frequency Shift of the 1S-2S Transition in Hydrogen", Phys. Rev. Lett., 81, 3807, (1998). C. L. Cesar, D. G. Fried, T. C. Killian, A. D. Polcyn, J. C. Sandberg, I. A. Yu, T. J. Greytak, and D. Kleppner, "Two-Photon Spectroscopy of Trapped Atomic Hydrogen", Phys. Rev. Lett., 77, 255, (1996). T. C. Killian, D. G. Fried, C. L. Cesar, A. D. Polycn, T. J. Greytak, D. Kleppner, "Doppler-Free Spectroscopy of Trapped Atomic Hydrogen", Proceedings of the 15th International Conference on Atomic Physics, (1996). M. J. Yoo and T. J. Greytak, "Thermal Conductivity and Accommodation Coefficient of Spin-Polarized Atomic Hydrogen Gas", Phys. Rev. B 52, 7215 (1995). T. J. Greytak, "Prospects for Bose-Einstein Condensation in Magnetically Trapped Atomic Hydrogen" in Bose-Einstein Condensation, ed. by A. Griffin, D. W. Snoke, and S. Stringari, Cambridge University Press, NY, (1995). C. L. Cesar, D. G. Fried, T. C. Killian, A. D. Polcyn, J. C. Sandberg, J. M. Doyle, I. A. Yu, T. J. Greytak, and D. Kleppner, "Two-Photon Spectroscopy of Trapped Atomic Hydrogen", Proceedings of the Symposium on Frequency Standards and Metrology, Woods Hole, MA (1995).